The mid-level Vivid HD300 offers higher power than the HD100 while retaining the simplicity of fully automatic operation. The powerful self- focusing camera magnifies up to 30x power, which can magnify the letters of words from a book up to 3 inches high. It magnifies automatically without using any controls. Magnification adjusts easily and naturally by raising or lowering the camera closer. Magnification increases as it moves closer. The HD300 features a built-in light for illumination. The high definition image quality is outstanding. Photos are highly detailed and real. Reading is a pleasure because the words are crisp and clear. The camera uses a fast auto focus system that continually holds a tight stable focus. 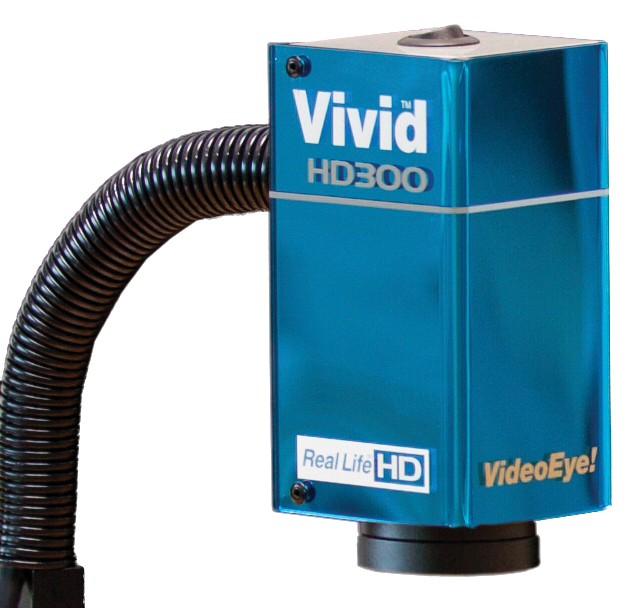 The HD300 uses the patented VideoEye 'floating camera' arm that reaches up to 42 inches from the base. The versatile arm makes it easy to use the camera anywhere on a large work surface, so it works well for reading and many other activities.